The US government said Chinese telecommunications gear maker ZTE violated the terms of a sanctions settlement and imposed a seven-year ban on purchases of crucial American technology needed to keep it competitive. The commerce department determined ZTE, which was previously fined for shipping telecoms equipment to Iran and North Korea, subsequently paid full bonuses to employees who engaged in the illegal conduct, failed to issue letters of reprimand and lied about the practices to US authorities, the department said. The ZTE rebuke adds to US-China tensions over trade between the world’s two biggest economies. 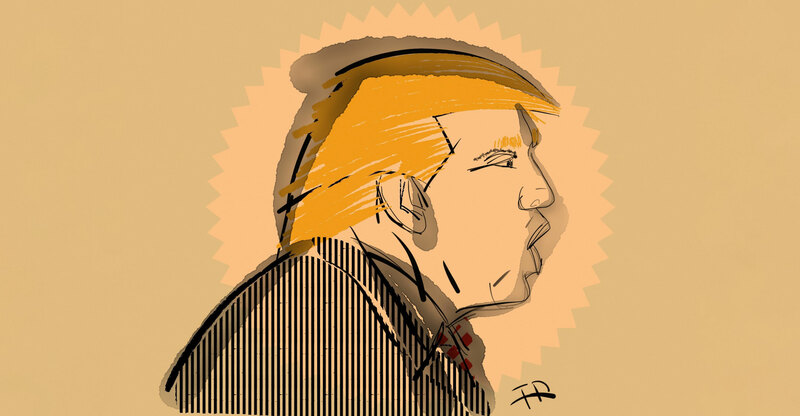 President Donald Trump threatened tariffs on US$150bn in Chinese imports for alleged violations of intellectual property rights, while Beijing vowed to retaliate on everything from American soybeans to planes. Trump on Monday accused China along with Russia of devaluing their currencies, opening a new front in his argument that foreign governments are exploiting the US. China’s ministry of commerce rapidly responded to the ZTE ban, saying it would take necessary measures to protect the interests of Chinese businesses. It said the Shenzhen-based company has cooperated with hundreds of US companies and contributed to the country’s job creation. For ZTE itself, the latest US action means one of the world’s top makers of smartphones and communications gear will no longer be able to buy technology from American suppliers, including components central to its products. 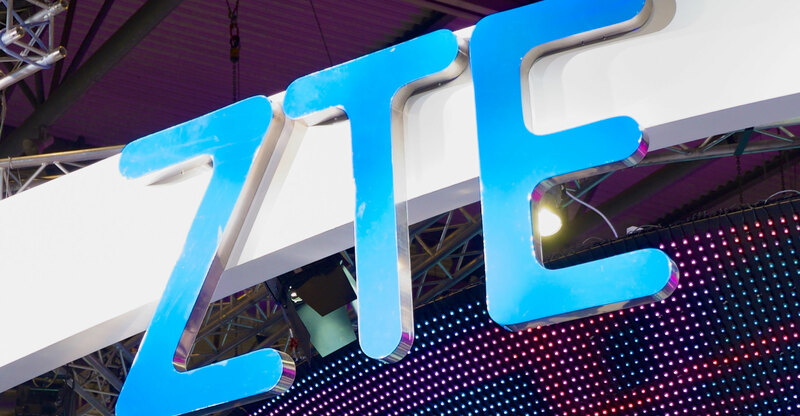 ZTE has purchased chips from Qualcomm and Intel, and optical components from Acacia Communications and Lumentum Holdings. A seven-year ban would effectively cover a critical period during which the world’s telecoms carriers and suppliers are developing and rolling out 5G wireless technology. The company’s suppliers in Asia tumbled in response, with MOBI Development down 13% and Zhong Fu Tong off 7.9%. Shares in Acacia and Lumentum plunged in the US. ZTE faces tough options in particular due to the ban on buying Qualcomm’s processors and modems, the main components in smartphones. China’s Huawei Technologies makes those chips for use in its own handsets, while MediaTek is Qualcomm’s largest rival in offering chips on a so-called merchant basis. ZTE may have to either buy from a competitor or get chips from a Taiwanese company whose products generally lag those of its US rival’s in performance. Separately, the UK’s National Cyber Security Centre warned the country’s telecoms companies and regulator that national security risks from using ZTE equipment and services “cannot be mitigated”. A senior official with the US commerce department’s Bureau of Industry and Security told reporters that the ZTE decision was unrelated to the administration’s threats to impose tariffs on Chinese imports, saying the actions against the Chinese company are part of an investigation. The official, speaking on the condition of anonymity, said the timing of the ZTE action was unfortunate because it could seem related to US steps to stop alleged theft of intellectual property. ZTE agreed in March last year to plead guilty and pay as much as $1.2bn for violating US laws restricting sale of American technology to Iran. The agreement called for the company to pay $892m in fines and forfeitures and be subject to an additional $300m in penalties if it violates the terms of the settlement. It was the largest criminal fine for the US justice department in an export control or sanctions case. “ZTE acknowledges the mistakes it made, takes responsibility for them, and remains committed to positive change in the company,” ZTE’s chairman and CEO, Zhao Xianming, said at the time. The company is making personnel changes and instituting new compliance procedures, he said. Denying ZTE export privileges prevents the company from “participating in any way in any transaction” subject to the US government’s export administration regulations, which govern sales of sensitive technology abroad. It’s also illegal for other businesses or individuals to participate in transactions with a company that has been denied export privileges, according to the department. “If they can’t operate normally because of the US export ban, that will clearly impact global and Chinese network construction and could affect future 5G roll-outs,” CICC analysts including Wang Xinglin wrote in a research note on Tuesday.